Boldly Go With This Gold Enterprise Proof -- Hand-Signed by William Shatner! This one-ounce gold proof from 2016 features the most famous spacecraft in science fiction history -- the Starship Enterprise! It first crossed our television screens in 1966, with Captain James T. Kirk at the head of the bridge. William Shatner captured the character so perfectly that he quickly became synonymous with the series itself. 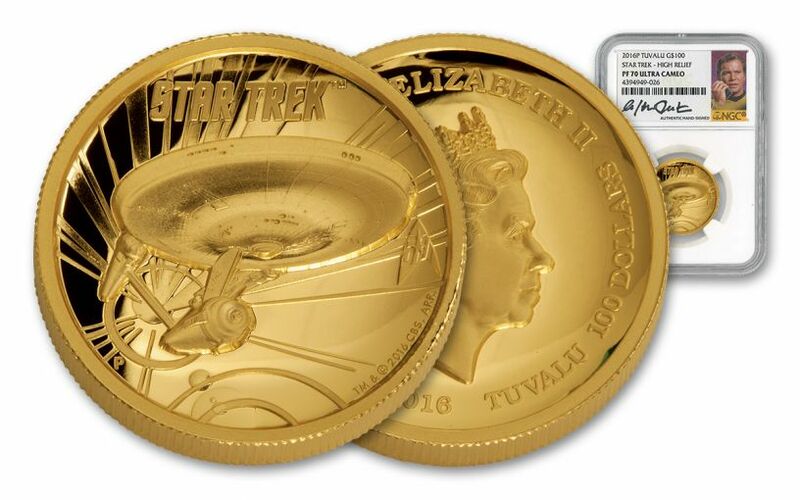 So it's only fitting that this one-ounce gold proof struck for the 50th anniversary of the series should be encapsulated in a holder with Mr. Shatner's genuine hand-signed signature. 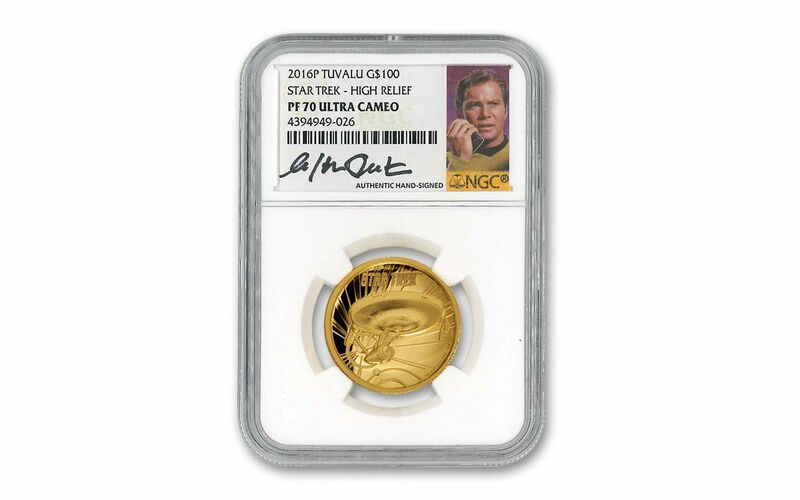 Struck in gorgeous high relief, each Gold Star Trek Enterprise Proof is certified by Numismatic Guaranty Corporation (NGC) in perfect Proof-70 Ultra Cameo (PF70 UC) condition and encapsulated in an acrylic holder to protect the coin's luster, as well as Shatner's signature, forever. 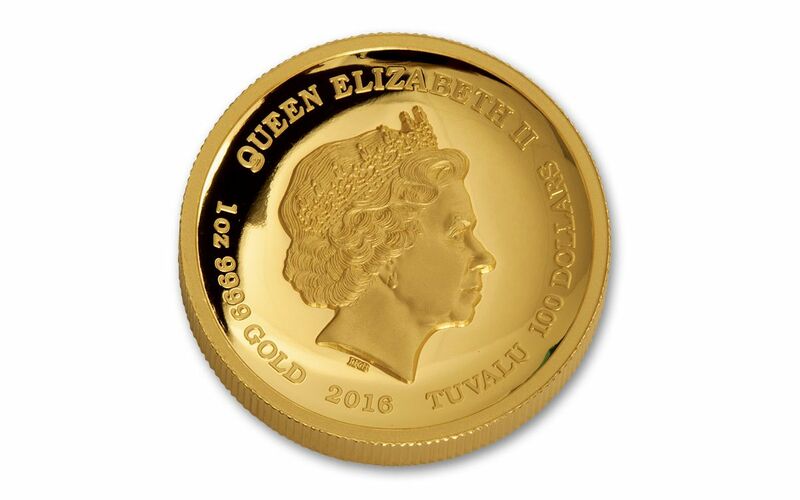 The one ounce of gold used by the Perth Mint to strike each legal tender Tuvalu 100 dollar proof is 99.99% pure -- among the highest gold purities used for coins. Conventioneers around the world wait for hours to pay upwards of $200 for Mr. Shatner's signature alone. Add his signature to a coin that immortalizes the USS Enterprise forever in gold, and you have a collection centerpiece for the ages! 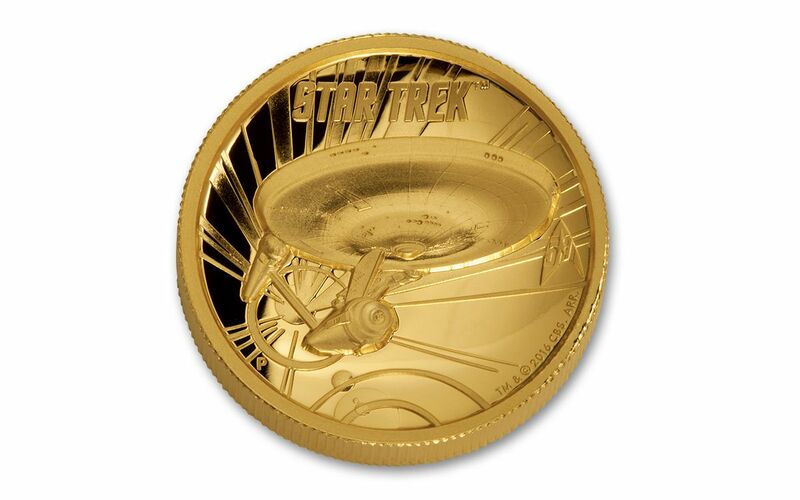 Millions of Star Trek fans around the world would love to own this coin, but with a limited mintage of only 400, this coin will only go to those bold enough to act fast. Get yours today!